I was constantly clicking since 10.25! Got my ticket, back row of the North Stand, get in! MOT! Onto the site.. so slow...come on don't drop me now! And apparantly since i've become a member my customer profile doesnt allow me to use the web.. what the f**k is that!? Silky wrote: And apparantly since i've become a member my customer profile doesnt allow me to use the web.. what the flipp is that!? That doesn't sound right? Trouble is you'll need to talk to someone to solve it. 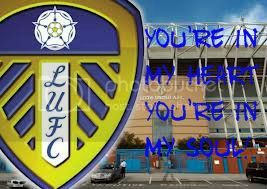 They are usually quite good if you email tickets@leedsunited.com and give them your tel. no. They've rung me back in the past, so it might work? Logged in at half eight this morning, kept refreshing every so often so I stayed logged in, bough a couple of other tickets for other games about half nine then at ten got chucked out and couldnt get back in. Had to go out of the office for a bit and still hadnt managed to get one, drove past Elland Road on the way back and there was quite a big queue. Just managed to get logged in and my usual seat was still free so grabbed it. Got my tickets bought and paid for, for me, the Doc, Mrs DrsDad and t'other son, in our usual Kop seats. Saw on the Club website that telephone lines to the ticket office had gone to rats, so good luck the rest of you, shouldn't be too much of a problem I would have thought, not with the East Upper being opened too. I eventually got a ticket 11.23am. I tried earlier but no luck, so I left it until about 11.20 and three minutes of clicking got me in. There were only restricted seats in the kop but lots of availability in east/west stands, but I went for NE. Well i still havent got through to them.. I am fekkin furious about this actually.. i paid my damn money, i cant get on to the website, they havent replied to my emails and ive literally been ringing for 6 hours and still havent got through..
Why the f**k did i spend my money on a membership? Silky - thanks to them changing the date of the game I can't f*cking make it down! Im so pissed off you wouldn't believe it. Hate what TV is doing to football. Of course mate. What time did we meet at Jesmond station last time? Is Claire convinced that im not an axe-murderer now? half 12 at jesmond metro.. see you then champion! Have you got to work on the Wednesday?